This column was written by R.J. Hillhouse. The unprecedented involvement of private corporations in the Iraq War has been well documented. Private soldiers working for Blackwater USA, Triple Canopy and others provide security services against military-level threats, and they regularly engage in combat. But what is not generally known is that the secret side of the Iraq War and the larger "war on terror" is also conducted by private corporations, fielding private spies. The reach of these corporations has extended into the Oval Office. Corporations are heavily involved in creating the analytical products that underlie the nation's most important and most sensitive national security document, the President's Daily Brief (PDB). Over the past six years, a quiet revolution has occurred in the intelligence community toward wide-scale outsourcing to corporations and away from the long-established practice of keeping operations in U.S. government hands, with only select outsourcing of certain jobs to independently contracted experts. 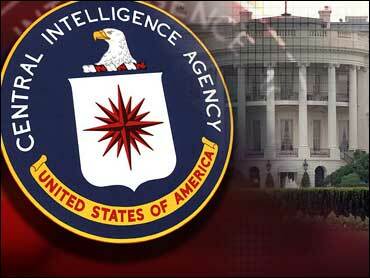 Key functions of intelligence agencies are now run by private corporations. The Office of the Director of National Intelligence (ODNI) revealed in May that 70 percent of the intelligence budget goes to contractors. For all practical purposes, effective control of the NSA is with private corporations, which run its support and management functions. As the Washington Post's Walter Pincus reported last year, more than 70 percent of the staff of the Pentagon's newest intelligence unit, CIFA (Counterintelligence Field Activity), is made up of corporate contractors. Defense Intelligence Agency (DIA) lawyers revealed at a conference in May that contractors make up 51 percent of the staff in DIA offices. At the CIA, the situation is similar. Between 50 and 60 percent of the workforce of the CIA's most important directorate, the National Clandestine Service (NCS), responsible for the gathering of human intelligence, is composed of employees of for-profit corporations. Employees of private corporations — "green badgers," in CIA parlance — provide sensitive services ranging from covert CIA operations in Iraq to recruiting and running spies. They also gather human intelligence on behalf of the CIA and analyze it, creating intelligence products used by the intelligence community and also shared with other branches of government. Corporate intelligence professionals from companies such as Lockheed Martin, Raytheon, Booz Allen Hamilton, SAIC and others are thoroughly integrated into analytical divisions throughout the intelligence community, including the Office of the Director of National Intelligence. It is the ODNI that produces the final document of the President's Daily Brief. The President's Daily Brief is an aggregate of the most critical analyses from the sixteen agencies that make up the intelligence community. Staff at the ODNI sift through reports to complete the PDB, which is presented to the President every day as the U.S. government's most accurate and most current assessment of priority national security issues. It was the PDB that warned on August 6, 2001, "Bin Laden Determined to Strike in U.S."
It's true that the government pays for and signs off on the assessment, but much of the analysis and even some of the underlying intelligence-gathering is corporate. Knowledgeable members of the intelligence community tell me that corporations have so penetrated the intelligence community that it's impossible to distinguish their work from the government's. Although the President's Daily Brief has the seal of the ODNI, it is misleading. To be accurate, the PDB would look more like NASCAR with corporate logos plastered all over it. Concerned members of the intelligence community have told me that if a corporation wanted to insert items favorable to itself or its clients into the PDB to influence the U.S. national security agenda, at this time it would be virtually undetectable. These companies have analysts and often intelligence collectors spread throughout the system and have the access to introduce intelligence into the system. To take an extreme example, a company frustrated with a government that's hampering its business or the business of one of its clients could introduce or spin intelligence on that government's suspected collaboration with terrorists in order to get the White House's attention and potentially shape national policy. Or, more subtly, a private firm could introduce concerns about a particular government to put heat on that government to shape its energy policy in a favorable direction. To get us into the Iraq War, intelligence regarding alleged weapons of mass destruction had to be very artfully manipulated to short-circuit a formidable bureaucracy designed to prevent just such warping of intelligence. Due to the shift toward wide-scale industrial outsourcing in the intelligence community, even that fallible safeguard has been eroded. Sources like "Curveball," the Iraqi informant who wrongly asserted the existence of weapons of mass destruction in Iraq and upon whom the CIA relied, are no longer needed. This is particularly frightening when one considers that the "war on terror" is fought by a $100 billion-plus industry that has a vested interest in its continuation. The tools needed to close this vulnerability are available, and they can be found in the private sector. Existing techniques could be applied to monitor the intelligence community for any suspicious activity to insure that no corporation could manipulate U.S. government policy in this way. Closing the gaps is simply a matter of the Director of National Intelligence acknowledging the problem, then finding the political will and leadership to implement a solution. Unfortunately, it will probably take a public outcry to make this happen.